Brexit uncertainty is going to loom over the UK for many more months. The decisions and action taken now will either set a consumer up for stress and financial weariness or give peace of mind and offer security. Experts are suggesting courses of action for what can be done to make the difference now to assure more confidence in the future. Homeowners have one thing they could do to save money and offer peace of mind. The peace of mind could be secured not only for now and the near future, but for years ahead. 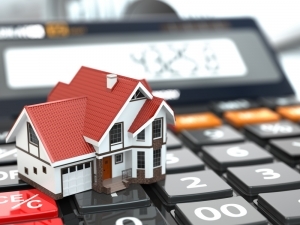 Experts are encouraging homeowners to remortgage. Remortgaging is perhaps more attractive than ever with the uncertainty of Brexit. With a fixed interest rate, it could offer years of security against increases in interest rates while also saving money by lowering repayments. No one should be paying more than they have to and by remortgaging relief could be found. Lenders are still very competitive and trying to gain the attention of homeowners by offering attractive remortgage products. Low interest rates are attractive, long term fixed rates are some of the best deals available, and lending is easing which is opening the door for those homeowners that had been held hostage by their current mortgage deal. Shopping around for a remortgage is quick, easy, and will offer a wealth of information that could make all the difference in making the coming months till Brexit less stressful. A remortgage deal could offer savings and peace of mind. There is no time like the present to take action and remortgage for most homeowners and it starts by shopping around for a deal sooner rather than later.